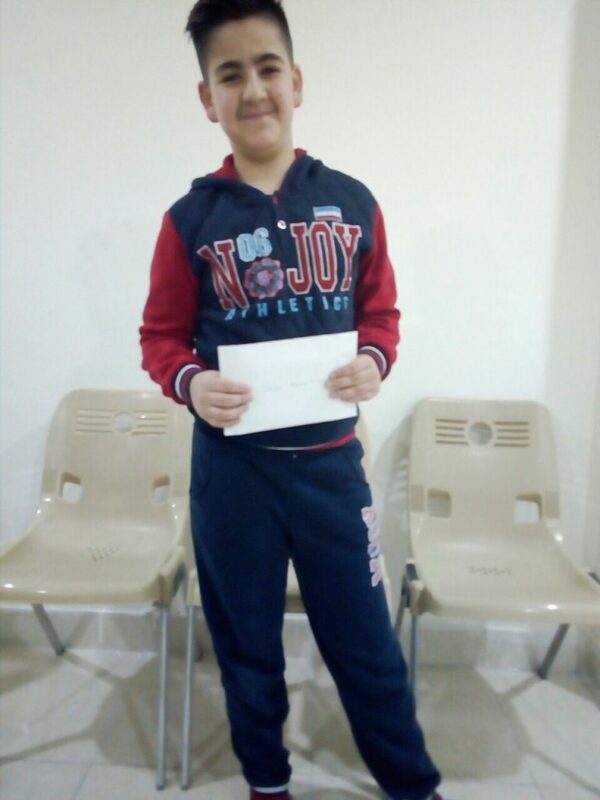 One Sponsor Letter + Refugee Kid = Beeeg Smile! 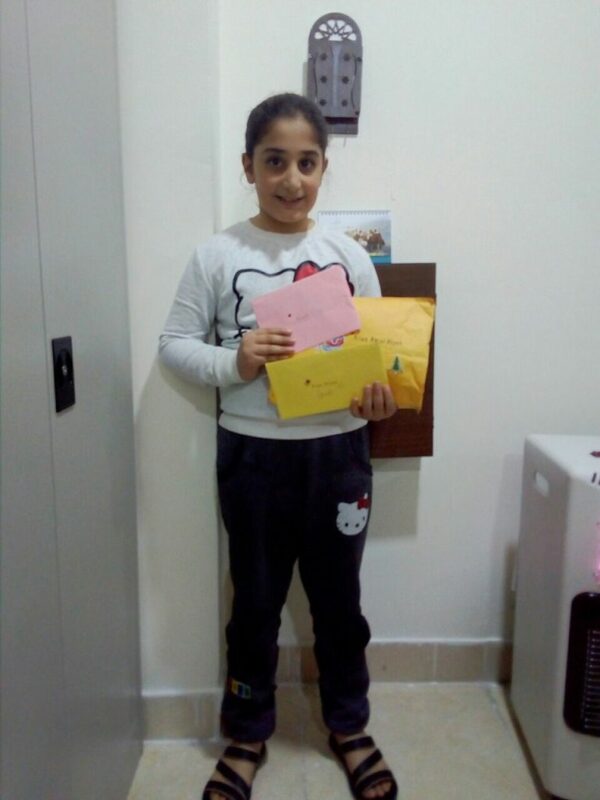 Thank you for the letters! Keep ‘em coming! 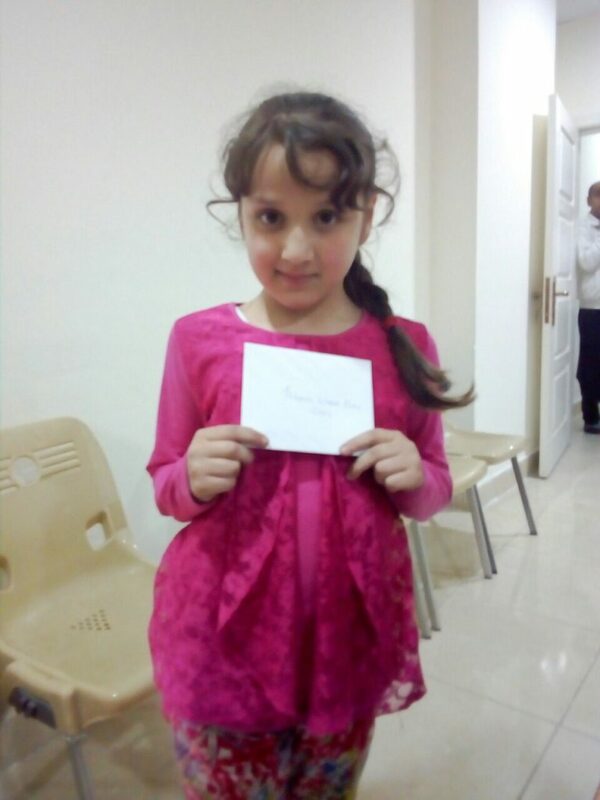 These pics are from April 15 as our team handed out letters to the kids from their sponsor in a refugee camp in Erbil. Three smiles and one who was shy…that’s okay too! Please email a letter today (bonus: it’s free) to your child via Star to: sponsorships@indigenousministries.org. 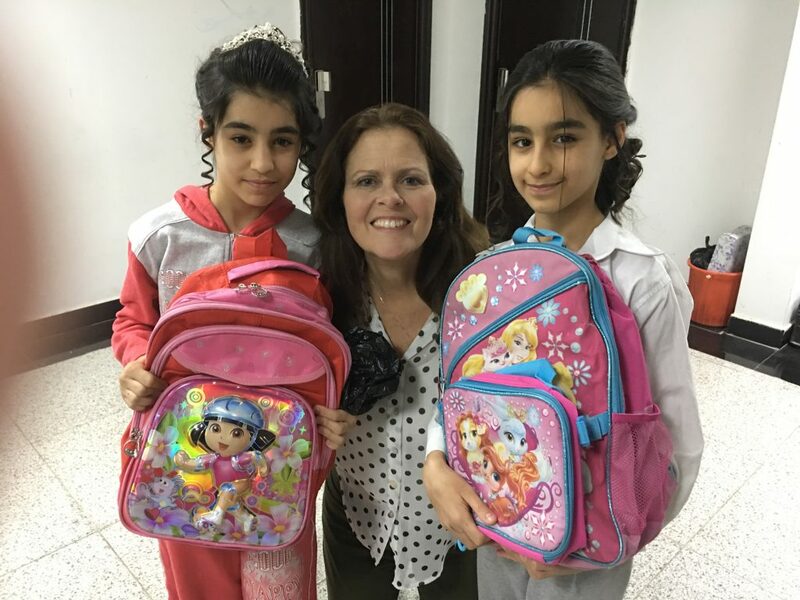 We are in the middle of our very special annual fundraiser that provides backpacks, school supplies, uniform and socks and shoes for all the children in our sponsorship programs in Iraq, Egypt and the Philippines. Dee in 2016 with one explorer and one princess proudly showing off their new backpacks! We”ve been helping refugee kids with new backpacks since 2015. The total cost for each child (backpack fully supplied, school uniform, shoes and socks) is $83. Whether or not you sponsor a child, please consider a generous gift for this very worthy cause. Any amountsent in for this project will be cheerfully used for these children! We’d like to get all the funds in before July 20. Questions? Contact Star 719-302-3028. VBS season is right around the corner…each year a number of churches engage; we’d love to include your church! Pray for $68,000 to build the new church building for a growing church plant in Cupang Antipolo City. 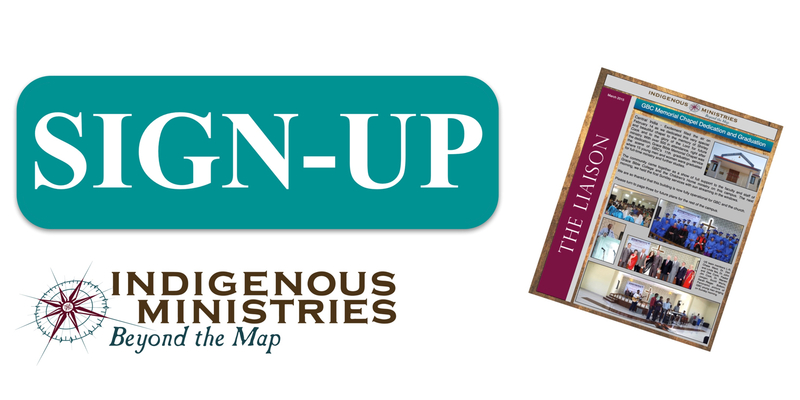 More info on this is available by emailing Resty Enguerra at: resty@indigenousministries.org. Please consider a generous donation to this project, just click the donate button on the right. How do Child Sponsorships and Church Planting mix? If the heart of Indigenous Ministries is the Church, how do the child sponsorship programs fit in with this prime directive? Our programs are designed to draw our sponsored children and their families into the national churches, in order that they might be ministered to by the pastor and church families. It’s working! In Egypt, that’s the reason the CSP (Child Sponsorship Program) along the Nile was begun. With so many widows, several years back, our ministry team asked, “Is there anything we can do month to month to help these destitute women? They are really struggling and anything will help. We would like to help them and share Jesus with the children and widows.” Now, three years later we have 57 children in the program. So many hearts have turned to the Lord as a result. In the Philippines, the need for families to secure a better income than continuing as scavengers, tied them to Resty and Mel who prayed with a local pastor, and together they are assisting many families. Their children are receiving a quality education along with critical nutritious food. It begins and ends with the Church. 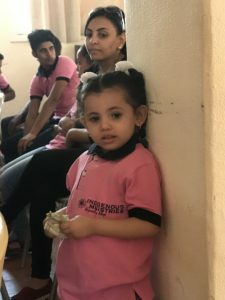 In Iraq, with 3.4 million refuges in Northern Iraq alone, many families living in UN camps and settlements face difficult choices; food or backpacks and school supplies? Pastor Sabri and his wife have stepped in and visited many families extending to them help and an open door to the fellowship of this church plant. The children are being enrolled in our CSP, and as the program approaches 50 sponsored children, we marvel at changes already evident! Contact Sarah Rieger at 719-302-3028 to help a child with sponsorship and directly impact a national church! The Scripture reminds us that “Religion that is pure and undefiled before God, the Father, is this: to visit orphans and widows in their affliction…” James 1:27. Thank you for praying for and sponsoring the children in our CSP programs! Join us…there are so many lives waiting to hear the Gospel! Our weekly prayer bulletin is sent out on Tuesdays. To be included in the email blast, please sign up on the website, right side, up top. 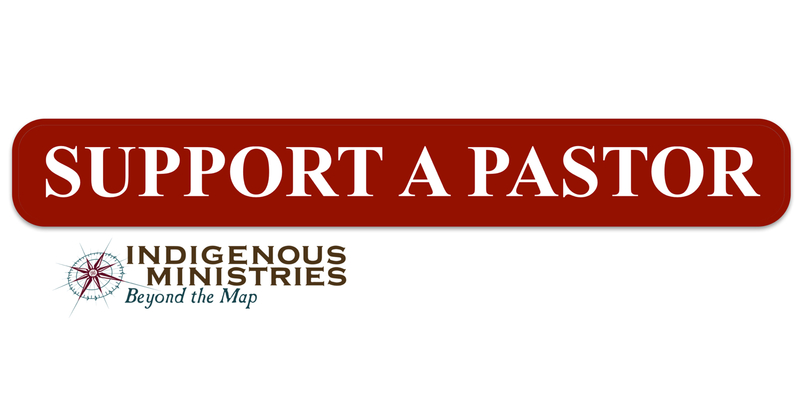 Thank you for engaging in this vital part of Indigenous Ministries. Watch our FB page for stories on each of these photos. I call on you, my God, for you will answer me; turn your ear to me and hear my prayer. Child Sponsorships – Be a Life Line! Your care is a life vest to these kids and their families in need. How? When a child knows she is sponsored, grades improve; she knows someone cares and is praying! A new school outfit and backpack is very encouraging, and they love memorizing Scriptures regularly with the team. 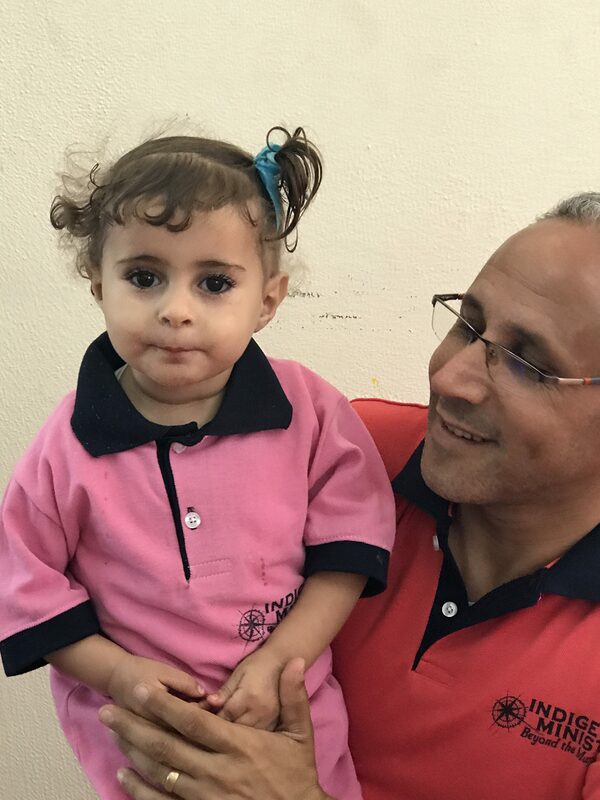 We normally accept children at age 5-15 into the program, but made exceptions for her and Goneer, whose father was recently killed in a motorcycle accident. With no means of support, they are both deeply grateful to the Lord and to our sponsors. Suzan, a recent young widow looks on as her daughter, Mera plays. Her husband recently dropped dead of a heart attack at the age of 35. 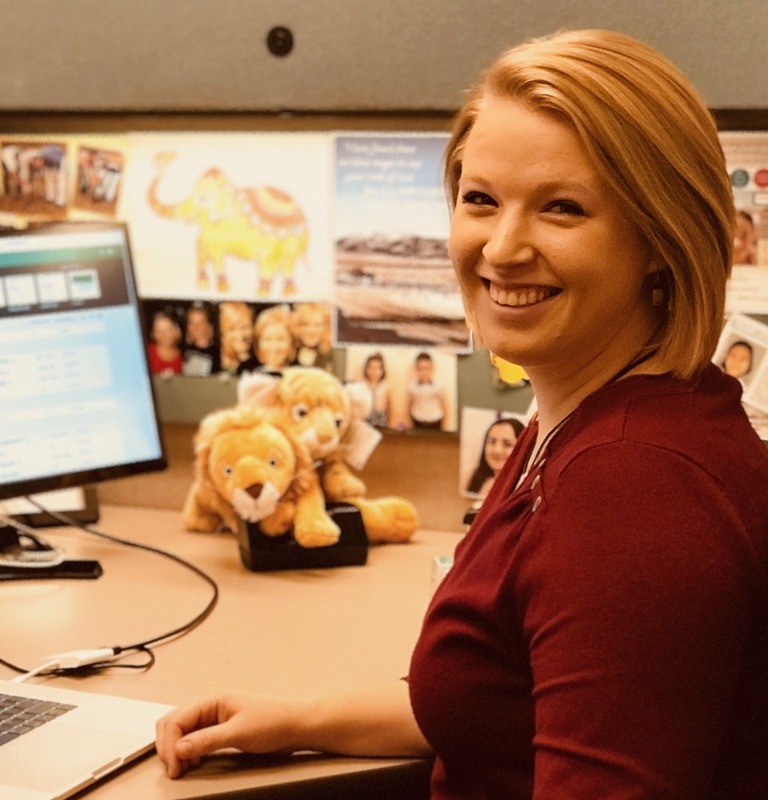 You Receive: Your child’s profile with photo, a support packet and letters 3 x a year from your child. 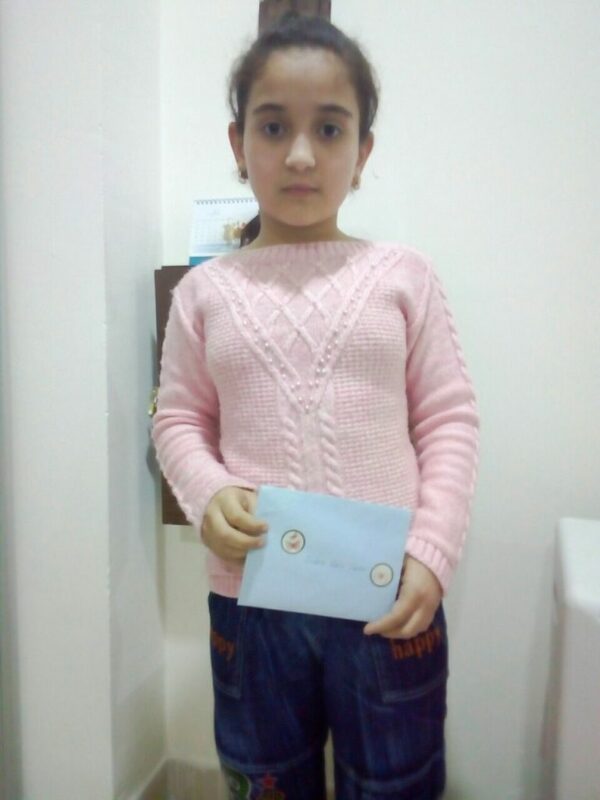 We encourage our sponsors to write their supported kids. Your church – We’re happy to furnish your church leadership with a four week launch packet to get your people excited about sponsoring kids with IM. This includes videos focusing on families whose lives are changed as a result of nourishing food packets they receive, clothing, medical care, school materials, and their kids being involved with Scripture memory. IM’s Child Sponsorship Program – Sponsorships available in Egypt, the Philippines & (Coming Soon!) Iraq from John Cook on Vimeo. 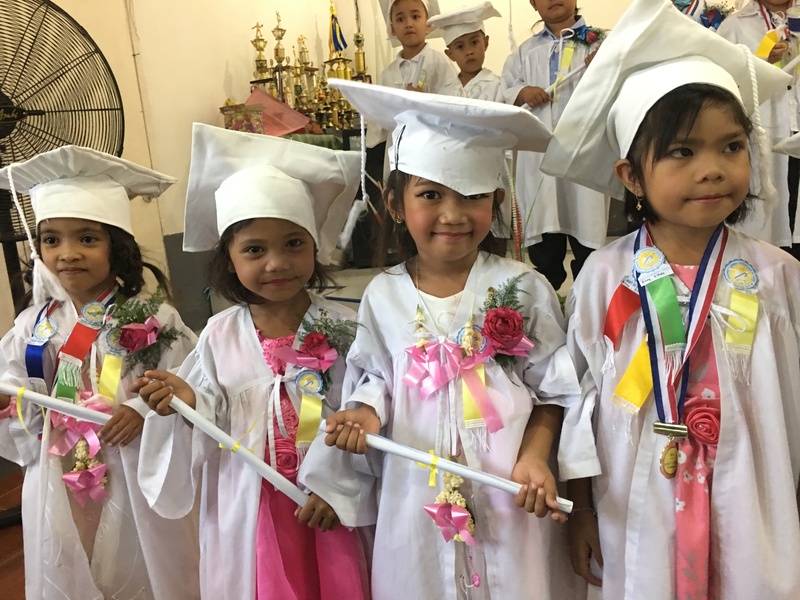 We were delighted to be invited to attend the Graduation and Awards Ceremony at Promise Land Christian School at Payatas, Quezon City. 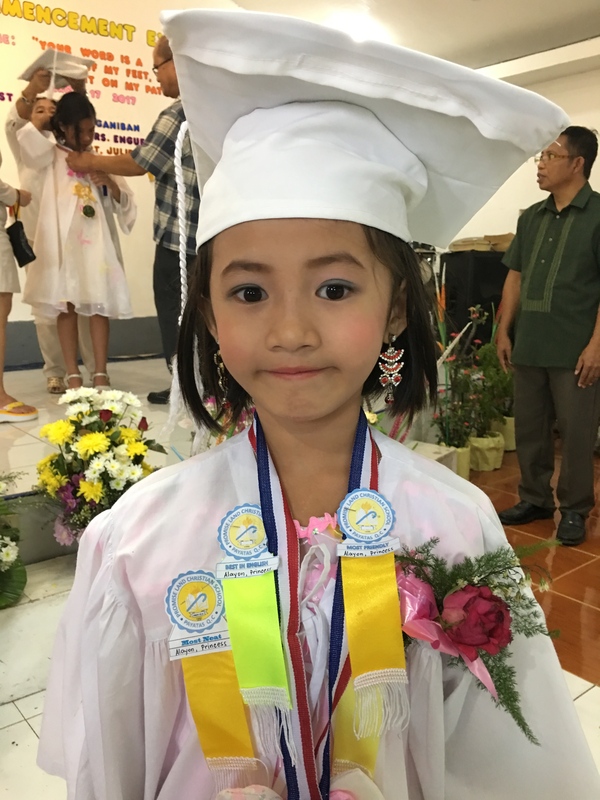 Two of our sponsored kindergarten students graduated with top honors. In addition, the first top 10 ranking in their individual grades from Kindergarten 1 to Grade IV were our sponsored students. Of the total 50 sponsored students, 21 of them finished strong, meaning that 40% of our students are high scholastic achievers!! This tells us that parents who scavenger in a dumpsite and their children can’t and shouldn’t be defined by their circumstances. They just need to be afforded opportunities for better education and mentoring to make wise choices. And definitely there is such gratitude and joy written all over the faces of both students and their parents as they experience God’s daily faithfulness and provision to each and every need. God took all the praise and worship!!! – Resty & Mel Enguerra. Read their entire newsletter on IM’s website under “about us/our team/meet our team/the Enguerras. Children patiently wait to use one of just three older computers at the Promise Land Christian School of Payatas in The Philippines. The Philippines – In 2016, the Department of Education in the Philippines mandated all elementary schools offer computer classes to prepare students for 7th – 12th grade education. Having access to a computer is no longer a luxury. 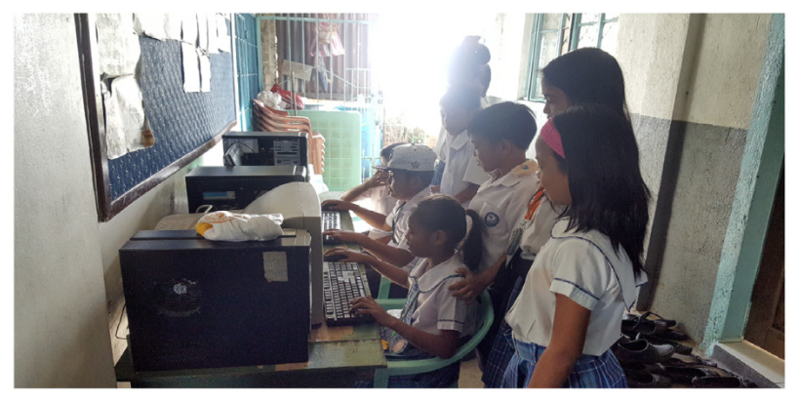 Promise Land Christian School, located in the Payatas Dumpsite, was able to resurrect three old computers, but they frequently freeze. Students crowd the computer area and hall waiting their turn. We are praying for help to purchase eight computers for the school’s Computer Lab. This will allow students to keep pace with technology and allow them access to information necessary for advancing education. It will also motivate these young minds, helping them realize there is a world of possibilities for them. Please partner with us to impact these children and their futures. Each computer is $500. To donate, click the donate button and select Southeast Asia in the donation drop-down menu. 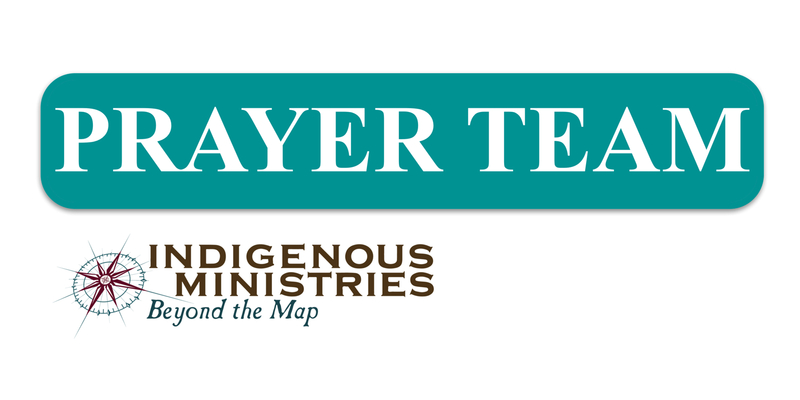 Interested in being an intern with Indigenous Ministries? Call our office 719-302-3028. If you are looking for VBS or AWANA projects, we have them! Call Star at 719-302-3028.